We had a Father-Son outing today specially planned on Daddy's Brompton with the child seat Ethan barely fits in! 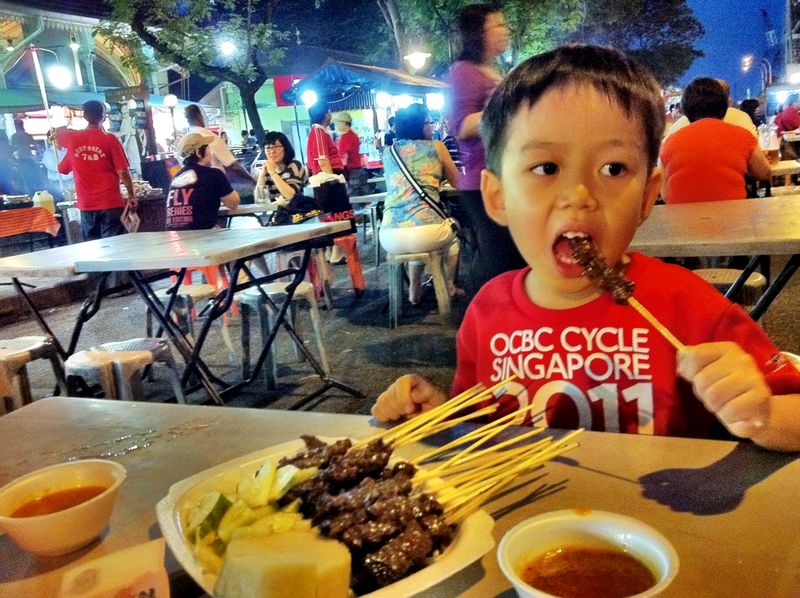 We set off from home just before 7pm and made our way to Lau Pa Sat where we promptly consumed 7 and 13 sticks of satay. 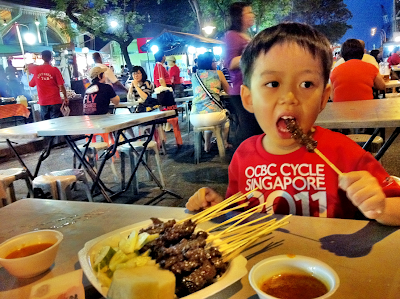 Ethan really loves satay and this famous location does not disappoint! 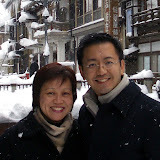 The last few sticks were gobbled quickly so we could continue cycling to the Marina Bay Sands light show at 8pm which was excellent and great fun. More cycling, eating cookies while watching the skyline and seeing the sights ended a great evening together, though Ethan did have to swallow the news that Daddy is going away next week to East Timor. It was all topped off by night-time cuddles and a sleepy 4 year old who curled up in Daddy's bed to conclude this special night together.